At the upcoming edition of the SAGSE fair in Buenos Aires on September 11-13th, Zitro will showcase to the gaming industry its impressive and successful BRYKE Video Slots products range, as well as its latest innovation in Video Bingo, the segment in which the company is a prominent world leader. 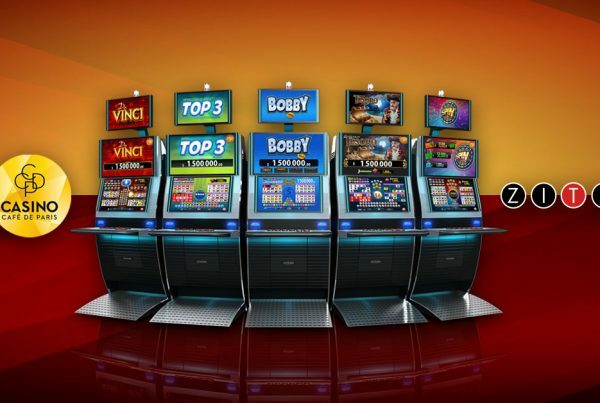 From the broad and diverse BRYKE Video Slots product range, the progressive multigame with panoramic sign, Link King LAP, is the highlight with its spectacular presentation, and is backed by the successes at many casinos around the world, including the biggest casinos in Mexico and Latin America, as well as important European casinos in France and Portugal. “After our successful entry into the Argentinian Video Slots market with our series of standalone Pick & Win multigames and our progressive Blazing Pearls, we’re offering a much wider range of products to the operators, with differentiated products that offer unique gambling experiences to the players. The results obtained with Link King in other parts of the world allow us to anticipate the success of Link King LAP in Argentina in particular, and in Latin America overall”, comments Alejandra Burato, Regional Sales Director at Zitro. Besides its Bryke Video Slots products, visitors will also be able to enjoy the latest innovation in Video Bingo with Power Bingo Link. This impressive product stands out with its new and attractive game mechanics that associates a high frequency of progressive prizes to the video bingo game. “After Zitro Experience Argentina, we’ve grown significantly and we already have a great number of units in multiple casinos across the country. We look forward to reuniting with our clients at our SAGSE stand, and be able to show them our updates, we’re also happy because now we can finally build on our proven successes and take it to new heights.”, concludes Alejandra Burato, with an invitation to everyone visit Zitro’s stand at #212B at SAGSE, where they’ll be able to see and test the entire product range.